I love me an App. I can't remember a time before google maps, even with them I'm perpetually late. I can't remember a time before Whatsapp, when sending an actual text message was the norm. And I can't remember a time before mind-numbingly boring tube rides could be made fun, all by crushing pieces of candy. Boots app - I love this little app from Boots. You know the obnoxiously big machines that you can find in store (why do they have to be so big? *mind wanders* ) - the ones that print out offers trailered to you and your advantage card? Well this is that giant machine, but on your iPhone. And quite a bit smaller. All of the offers are saved in one place, you can download them as vouchers straight to your phone, and even check up on your advantage card points balance. And who doesn't love checking their points balance?! Mine are currently building up quite nicely - it's a shame you can't pay your rent with an advantage card. Perfect 365 - is a virtual makeover app, where you can try out different make up and hairstyle looks. Just take a selfie, or pull up one your photos from the device - and work your magic. After selecting the main points of the face, you can then apply a wide range of make up, from foundation to lipstick, eyelashes and even countouring. You can also try out a new (albeit very unbelievable) hair colour or style. I like to sneakily cover up a blemish post picture, but there are loads of options within the app and it's fun creating different looks. 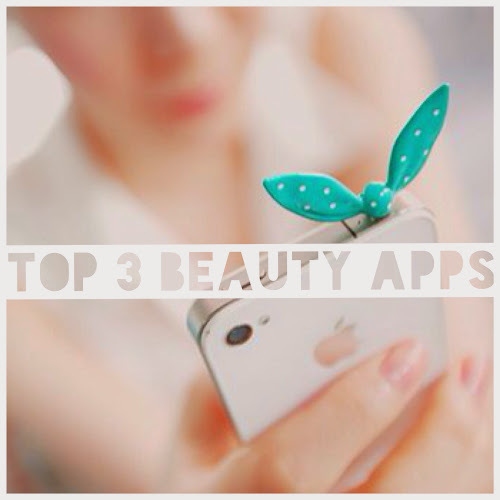 Wahanda - Wahanda is my number one beauty app, and I could sing its praises all day. It's basically a huge directory of salons, searchable by treatment, location or even cost. Once the app knows where you are, it can find you exclusive last minute discounted appointments - allowing you to book and pay, straight from the app. You can read reviews of all salons and treatments before you decide, and wahandas customer service is brilliant. If there's any problem with a booking they usually call you, and if not, it's easy to get through to a lovely person. I love the ability to pay directly on the app, as you can plan and pay for treatments in advance. The app then adds the appointment straight into your phones calendar, and emails you all the details of your appointment! There are often promotions for £10.00 off your booking (currently it's the code 'app10'') which comes in handy when it's time for a trim or a manicure. It's by far my favorite beauty app ever, and I've discovered so many great salons by using it. aha at first i didnt know you were talking about candy crush at first so I was like ?? lol i think my friends and I used the perfect 365 to give eachother horrible clown makeovers once, but i see its benefits as well. great post! I love the new boots app, it's so much easier to use than the massive machines in store; and I can check my offers before I even decided whether to risk my wages by going in! I'll have to check out the other two, I've heard good things about Wahanda but never got round to trying it for myself. Wahanda sounds great. Is it UK based only? I have a feeling it is UK based, and limited to a few of the major cities in UK :( I wonder if there are any internationally! If not, that's a gap in the market and you should start one!